Passers-by ‘looted shop instead of calling police’. A furious shop owner says passers-by looted his store after a burglary rather than calling police. Thieves smashed their way into Del Singh’s Earlesmere Mini Market on Balby Road, in the early hours of the morning. Police were called after owner Mr Singh arrived to find the shop had been ransacked, and cigarettes and spirits stole from the site. But when he looked back on the closed circuit television cameras, he saw images of people leaning into this store through the broken frontage to take coins and items like cigarette lighters which had been scattered on the floor by thieves. He said: “I was disgusted that people looted the shop. These people are obviously just members of the public, not friends or customers. Mr Singh has been running his shop for two years, and had never been a victim of crime until September 24. But 10 days later he suffered another break-in, despite having providing police with information including the name of a possible suspect. He believes both break-ins may have been carried out by the same people and that if there had been a quicker arrest, that he may not have been raided again on October 4. He initially rang 999 after the first crime, but was told to ring 101 instead because it was not a life threatening emergency. He then spent more than 40 minutes waiting to get through on the phone. A forensics officer came round the same day, and a police officer came to the shop after the case been allocated on the following day. By then many residents had seen his CCTV pictures and mentioned a name of a person they thought was on the pictures. But another break-in was reported on October 4 when a neighbour rang 999 while the raid was going on. The raiders fled when police arrived. “I’m angry that no one was arrested after the first burglary,” said Mr Singh. Friend Jarnel Singh, of nearby Mansfield Road and Sandringham Road Neighbourhood Watch, said: “We have very high regard and respect for our police officers in Doncaster and the work that they do and we have worked with them on a number of occasions to support local residents in Balby. 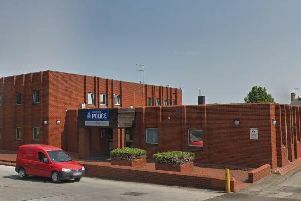 “We all know that the police and other organisations are stretched to the limits as a result of cuts made by central Government and of course this has caused a huge lack of resources and funding to recruit more officers. But he said he thought it was ‘unbelievable’ that no one had been arrested with the evidence Mr Singh had passed on.